Today is Wednesday, January 11, the 11th day of 2017 in the Gregorian calendar, with 354 days remaining. 663 days until the 2018 midterm elections. 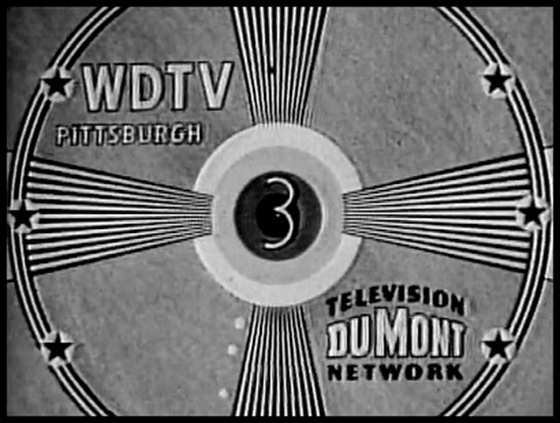 On this date in 1949, WDTV Channel 3 (later to become KDKA-TV Channel 2) began broadcasting in Pittsburgh, PA. The station also represented a milestone in the television industry, providing the first "network" that included Pittsburgh and 13 other cities. DuMont's network of stations on coaxial cable stretched from Boston to St. Louis. These stations were linked together via AT&T's coaxial cable feed, with the sign-on of WDTV allowing the network to broadcast live programming to all the stations at the same time. Originally owned by and a part of the DuMont Television Network, the station shifted to Channel 2 in 1952 to avoid interference with stations in Ohio. In 1954 the struggling DuMont Network sold the station to Westinghouse Electric Corp. for $9.75 million, a then-record amount. Westinghouse changed its call letters from WDTV to KDKA-TV after the company's pioneering radio station KDKA AM (1020). Among other things, today is also National Milk Day, reportedly observing this date in 1878, when milk was delivered in bottles for the first time. Naked Florida man accused of home burglary just wanted sesame seeds for his burger. As of this writing, The KGB Quotations Database contains 44,585 entries. Check it out. There's a certain irony to the fact that Donald Trump, who relied constantly on unsubstantiated Internet "news" during his campaign, is calling leaked reports from intelligence efforts "fake news." Not expecting much from his news conference, just the usual denials and self-aggrandizement. Earth's moon may be the product of many small moonlets that merged after multiple objects as big as Mars collided with Earth, leaving disks of planetary debris orbiting the planet, a new study suggests. This idea that multiple impacts led to the moon's birth challenges the most prevalent theory of lunar formation, which suggests that one giant impact led to the formation of the moon. George Lucas has selected L.A. over San Francisco to be home to his $1 billion museum, with the Lucas Museum of Narrative Art set to feature pieces from the filmmaker's personal collection, including memorabilia from Star Wars and other films, vintage photographs and an impressive selection of traditional paintings. The museum is eyeing a May 4, 2020, launch, according to Los Angeles Mayor Eric Garcetti. A telling, tense exchange between Kellyanne Conway and Seth Meyers about Trump. Meyers has stepped into the role once played by Jon Stewart. I've had both positive and negative experiences with "corporate" pet care. The care has been good, but the treatment plans seem to require additional expensive tests and procedures my independent veterinarian includes in the original estimate. Bloomberg Businessweek looks at the high-cost, high-risk world of modern pet care. Still running late due to being under the weather... some improvement, hope to hit the morning release window tomorrow.